Blog SEO: befriend the long tail! Focussing on long tail keywords is a great SEO-tactic for blogs. A long tail keyword strategy makes it easy to keep the structure of your blog in good shape. Also, it allows you to gradually get more traffic and to be found by new and motivated audiences. In this second post about blog SEO (read my first blogpost about the importance of blog categories), I will explain the importance of long tail keywords for blogs! What are long tail keywords? 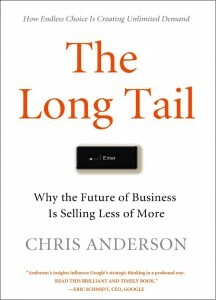 The term long tail keyword comes from the book The Long Tail by Chris Anderson. In this book, Chris Anderson shows there is a market for virtually every product. In some cases, however, this market is really, really, really small. The wideness of the internet though, makes your niche product, or your niche blogpost profitable. Long tail keywords are more specific and less common than other keywords. They focus more on a niche. Read more about long tail keywords in this previous post or buy our eBook about Content SEO. Most blogs have one main topic. Mom Blogs are usually about children and family live, food blogs are about eating, restaurants and recipes. Our blog is all about SEO. We even named it SEO blog in our redesign. So, all of our blog posts are about SEO, or about SEO-related-topics. SEO is definitely something we like to be found on. The main topic or theme of your blog is the number one keyword (or key phrase) you want to be found on. In our case SEO. Imagine yourself having a food blog about home-made Italian food. You would then liked to be found on a search term like ‘ home-made Italian food’. That would pretty much be the number 1. Your blog posts will all be about home-made Italian food. You cannot, however, optimize all blog posts for the term home-made Italian food. Instead, you should write a whole number of blog posts about all kinds of long tail variants of your number 1 search term. In the example of the food blog you could write about all kind of delicious things: home-made Italian pasta, home-made Italian salads, home-made Italian pie. These could be your main categories. Your blog posts could even be more long tail, write about: home-made Italian spaghetti bolognaise, home-made Italian lasagna, home-made Italian penne carbonara and so on. If you optimize your blogpost for different long tail variants, you should link from these blog posts to your more ‘head’ category-pages and from these category pages to your most awesome page. Remember: always link from the tail to your head! That way, you show Google what the structure of your site is and which of your pages is most important. Make sure your most amazing pages rank high in Google! Perhaps you have an amazing page with your most delicious recipes, which will immediately convert passing visitors into loyal blog followers. Make sure your different long tail optimized blog posts all link to this most important ‘head’ pages of your blog. 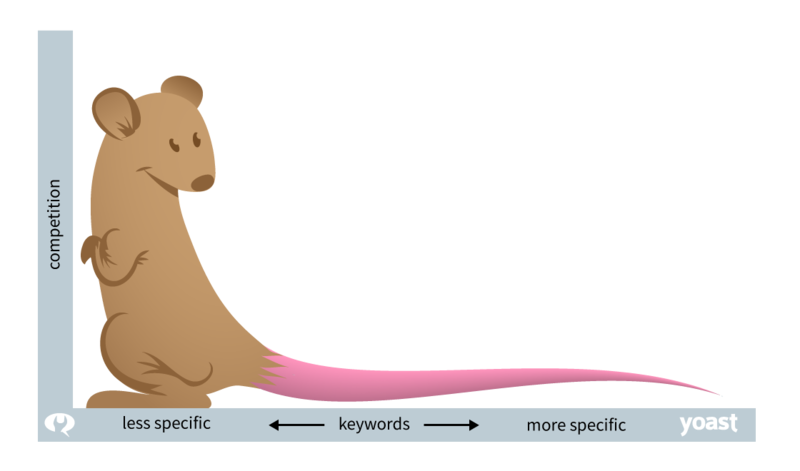 Why are long tail keywords important for blog SEO? In our view, there are two important reasons why a blogger should focus on long tail keywords: easy ranking and higher conversions. It is much easier to rank for long tail keywords than for more common keywords, because fewer websites compete for high rankings in the result pages of Google. The longer (and more specific) search terms are, the easier it is to rank on the term. Because of the vastness of the internet, it is easier to find your audience for your specific niche. Focussing on a group of long tail keywords will result in a great deal of traffic altogether. Another benefit for blogs of focussing on long tail keywords is that visitors that find your website are more likely to become regular visitors of your blog, maybe they even subscribes to your newsletter. The longer and more specific the search terms are, the higher the chances of conversion are. People who use a very specific term have a more clear idea of what they are looking for. And people who know what they’re looking for are much more prone to become frequent visitors! So long tail keywords focus on a audience, even on a very motivated audience. And that makes focussing on long tail keywords a very, very profitable SEO-tactic. Keep writing those long tail posts! Focussing on long tail keywords is a great SEO-tactic for bloggers. Doing it the right way (linking from tail to head), will help you to rank on specific keywords, to increase your traffic and to attract new and motivated audiences. Another advantage of long tail blogging is that it can help you come up with ideas for new posts. For bloggers, it can be quite a challenge coming up with another subject for a blog post. Making a list of all the possible long tail variations of your number 1 keyword really helps you to come up with new ideas! So start writing those long tail posts! This post first appeared as Blog SEO: befriend the long tail! on Yoast. Whoopity Doo!